This is our largest room. (Hachi-jo is, literally, "eight tatami mats".) It can accommodate three single size futons, or two double size futons, pretty easily, and has taken up to 5 - a tight squeeze. 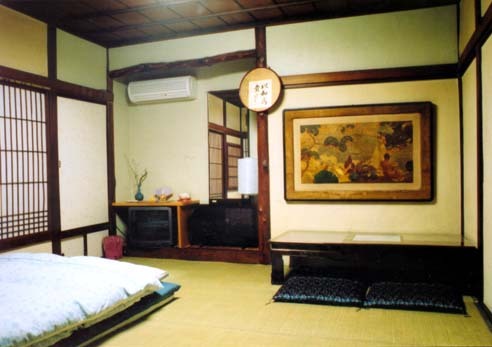 It is fronted with shoji (papered) sliding doors.